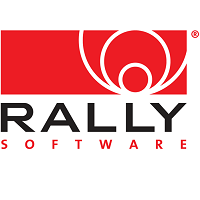 Rally Software is a global leader in cloud-based business solutions using Agile software. It creates ways for companies to increase speed, productivity, and better serve customers. Rally Software is dedicated to helping clients make thier company more efficient and more profitable. Rally is an agile partner that minimizes risk, stops waste, and helps keep business running at the highest level possible. The Rally platform is a cloud-based, Agile software management platform that gives users full control over projects in order to meet the goals of the business. Offered as a scalable solution to fit any sized business, this software lets its clients personalize and share custom pages, documents, and dashboards. Members can choose from a comprehensive library of Rally apps and even create new apps that better serve the individual organizations. Using Rally apps, team members can customize the platform environment and dashboards and allows users to create metrics and reports specific to the business’s needs. 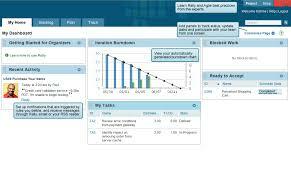 The project management software also integrates with existing tools and synchronizes all previous data into one single form of record in Rally. With great customer service, agile software and superior knowledge, Rally Software’s platform is there to serve your specific and individual business needs. See more software development project management solutions using our Project Management SmartAdvisor. Learn everything you need to know about Rally Software. Our experts will reach out to you shortly.